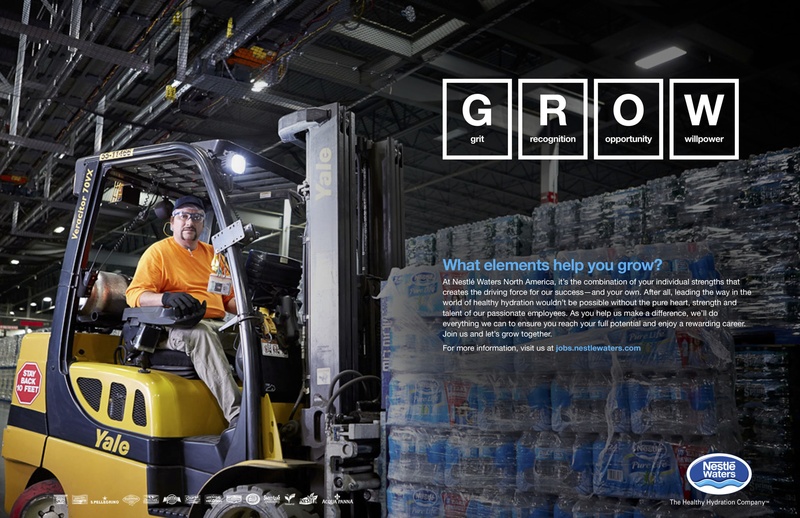 Nestle Waters – Jamie Kakleas is a writer. 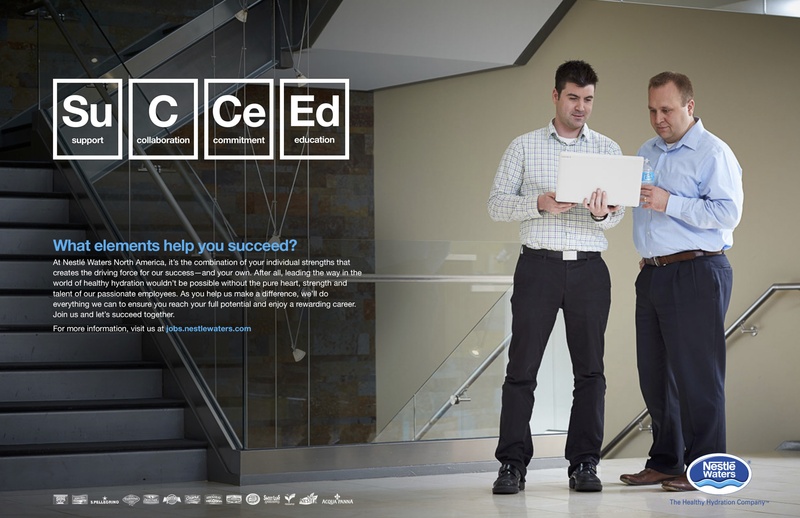 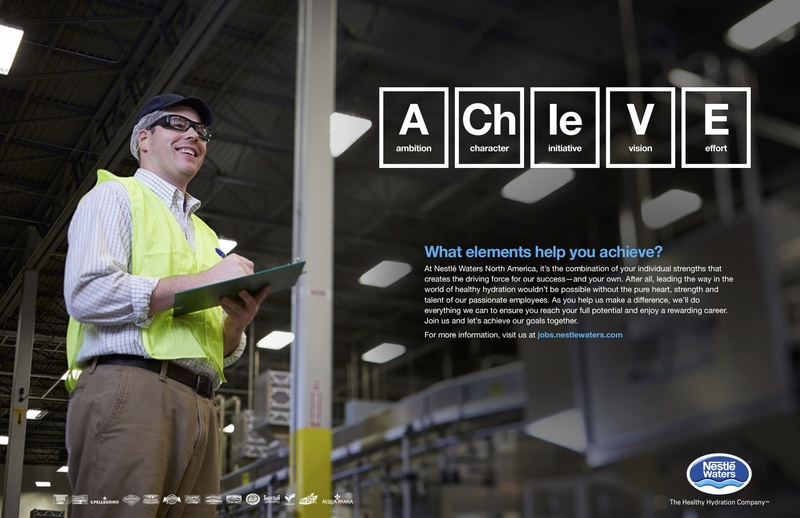 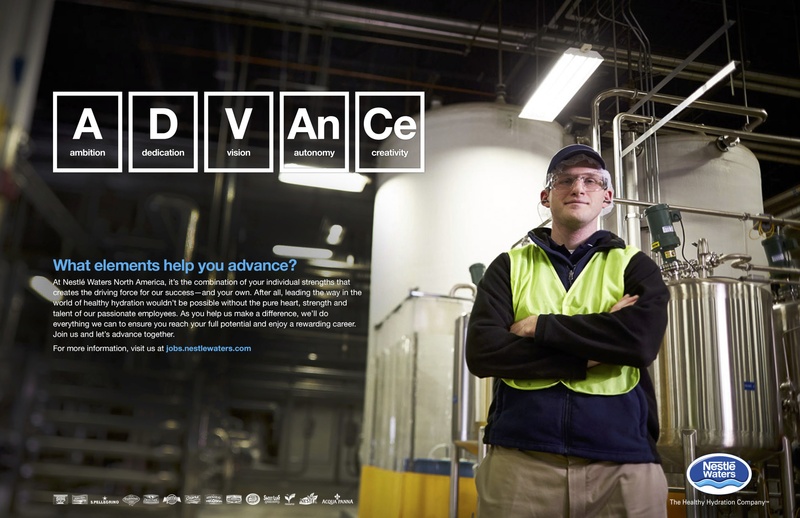 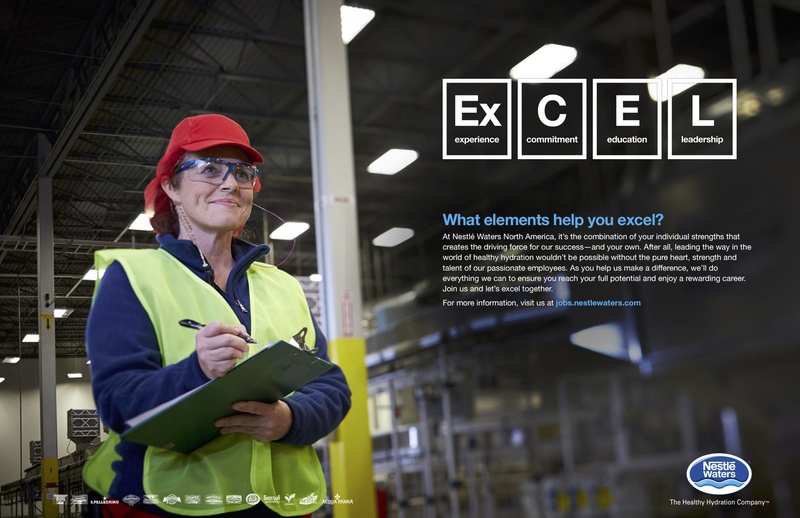 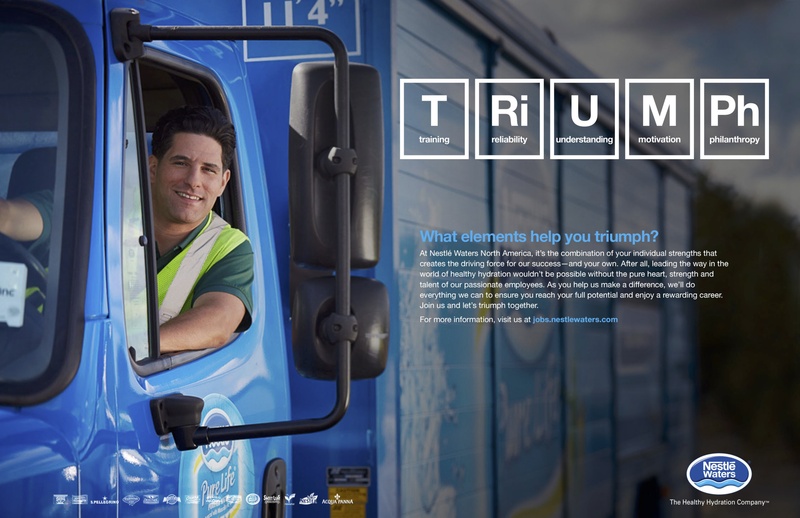 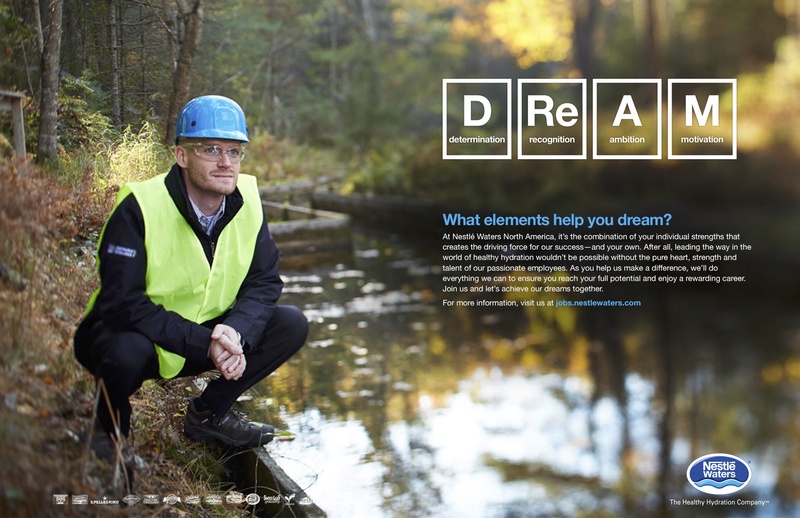 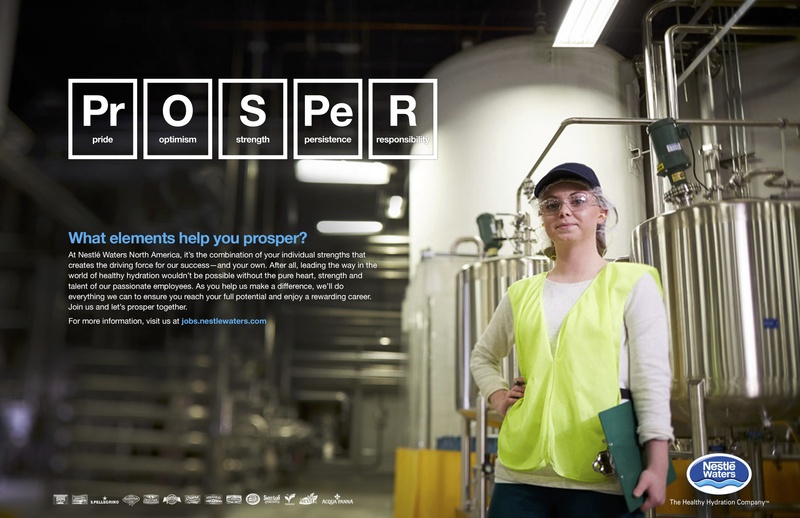 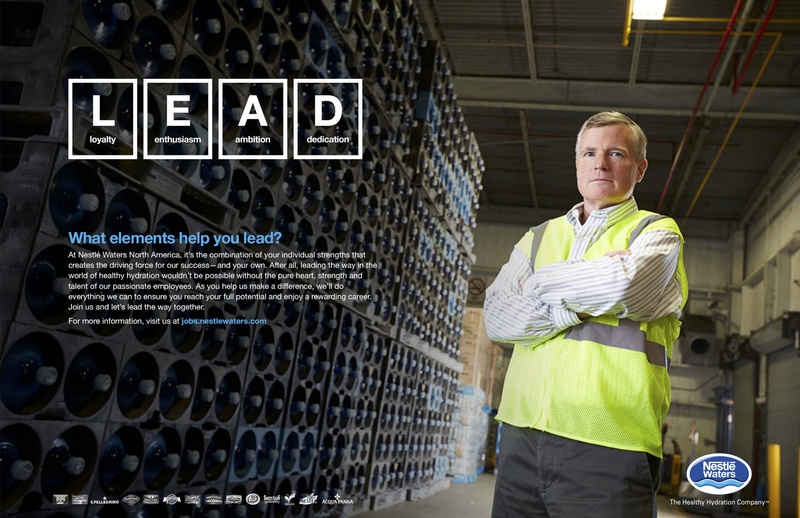 Referencing the periodic table of elements, we developed a concept that focuses on the unique character attributes that each individual brings to the table when they join Nestlé Waters North America. 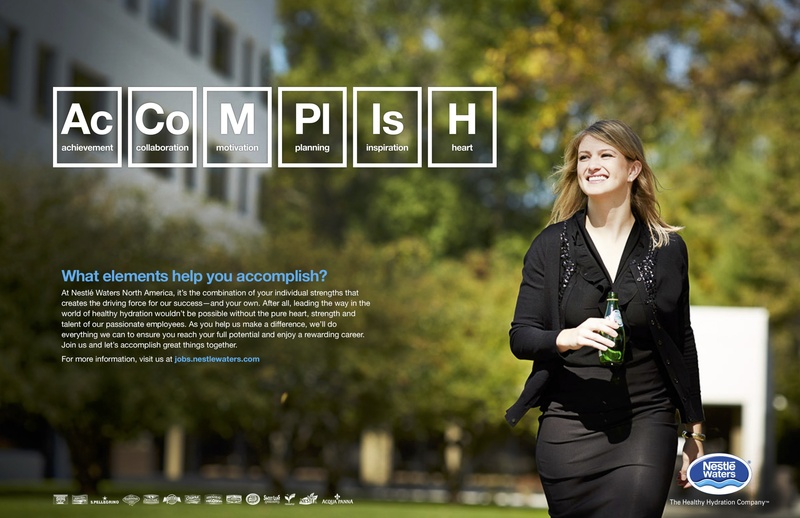 When combined, these individual strengths create the perfect combination for success. 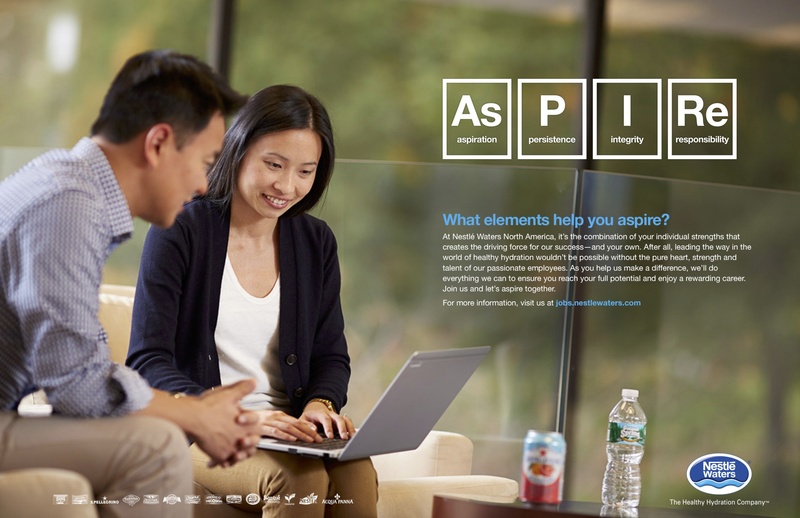 Words like skill, energy, heart, and innovation, promote the ideal qualities necessary to thrive in Nestlé Waters’ performance-based, forward thinking culture. 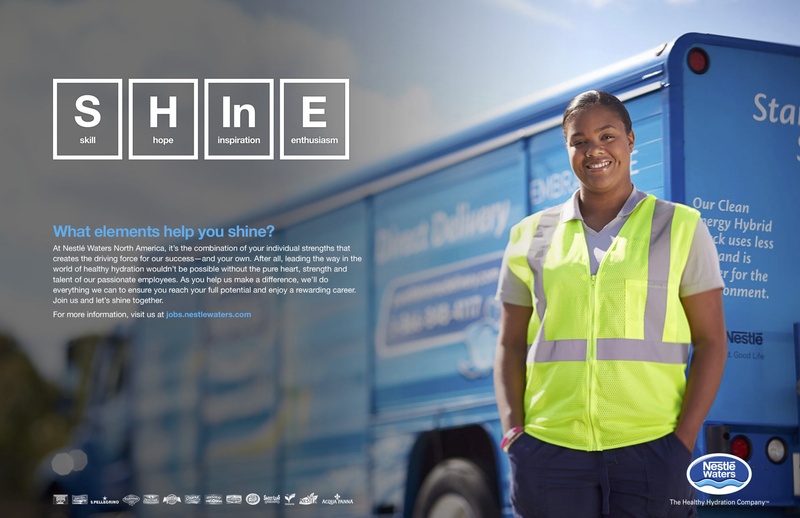 Together with the team’s support, candidates will have everything they need to exceed their potential and enjoy a rewarding career with the nation’s largest bottled water company.